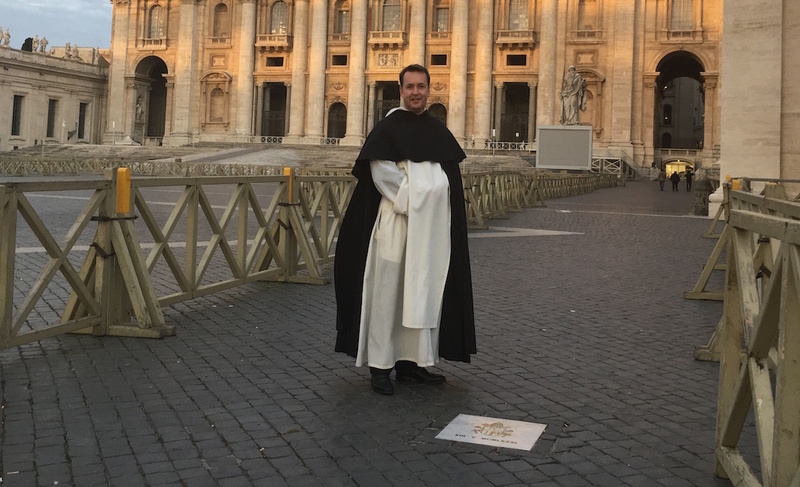 This winter, I had the privilege of visiting St. Peter’s Square in Rome for the 800th Jubilee of the Dominican Order, in which I am a priest. I took advantage of the opportunity to pray for the founding of the St. John Paul II Society at the place in Saint Peter’s Square where the sainted Holy Father was shot during the assassination attempt of May 13, 1981 on the feast of Our Lady of Fatima. Sustaining two gunshot wounds, Saint John Paul II claimed that, “one hand pulled the trigger, another guided the bullet,” and it was Our Lady herself who saved him from certain death. Saint John Paul II united his sufferings with Christ Himself, who shed His blood on the cross for the whole Church. 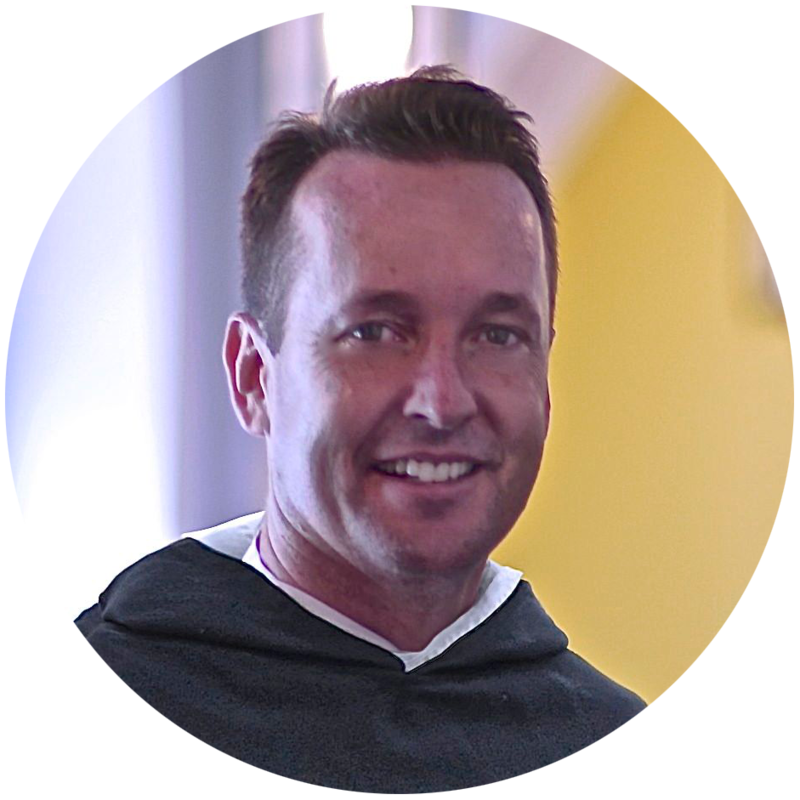 Many of us are also suffering from the “gunshot wounds” of this life: broken families, unemployment, sickness, debt, or seeing our loved ones succumb to addiction and the allure of evil. That is why we turn to Saint John Paul with our cries for help, in the confidence that such powerful intercessors will hear us and plead effectively for us before the throne of God. Yet there is something more that we can do. We can imitate the secret of Saint John Paul II in offering our own sufferings up for the salvation of souls, and especially the souls of those we love. We may not have the high position, or the great responsibility of a pope like Saint John Paul II; but Jesus Christ accepts all our sufferings and uses every drop to share His gift of salvation with the world. The next time you are bleeding from one of the “gunshot wounds” of life, I invite you to turn to St. John Paul the Great, and also to remember the souls thirsting for the Gospel of Jesus Christ – particularly those who may be reached by the preaching of the Dominican Friars – and to offer your hidden sufferings up for them and for your loved ones. May Our Lady shelter you beneath her mantle, may her hand deflect the bullets in your life so you may rediscover trust and courage as your anxieties and fears are overcome.